Todd Oakes found himself a bit torn in this April 2013 game. The University of Minnesota assistant coach saw his Gophers take the win over Augsburg College. But he also saw his son, Augsburg pitcher Tanner Oakes give up the game-winning single, according to UWire. "Did I want to see him give up [four runs]? Probably not," Todd Oakes told UWire afterward. "Did I want the Gophers to win? Yeah. That's who I coach for." Oakes watched his son play that day - and his team win - having spent nearly three decades as a coach in the pros and then in college. He coached after his own brief playing career. For Oakes, that he was there to watch his son and watch his team win was a blessing. That he continued to coach with Minnesota continued to be. Doctors diagnosed Oakes with leukemia in 2012. It came back twice, but he and his family pushed through. In May 2016, however, it took his life. "Typically, as human beings, we say, ‘Why me?’ Why is this happening to me?’" Oakes told The Minnesota Fellowship of Christian Athletes in February 2016 of his approach. "Maybe especially as Christians, we think we have God on our side and we think, ‘How can God let this happen to me? I’m a good man. I’ve planted good seeds along the way.' In 2012, my family and I decided to adopt the attitude of, ‘Why not me?’ "
Oakes' long career in baseball began in 1983, taken by the Giants in the 20th round of the draft out of the University of Nebraska. At Nebraska, Oakes went three innings in a May 1983 game, giving up one hit for a win. He went 16-4 over his two seasons there. With the Giants, Oakes started at single-A Clinton. He played each of the next three seasons at single-A Fresno, getting time at AA Shreveport his final season in 1986. He never made AAA. Oakes then started his coaching career. He coached 1987 back at Clinton. 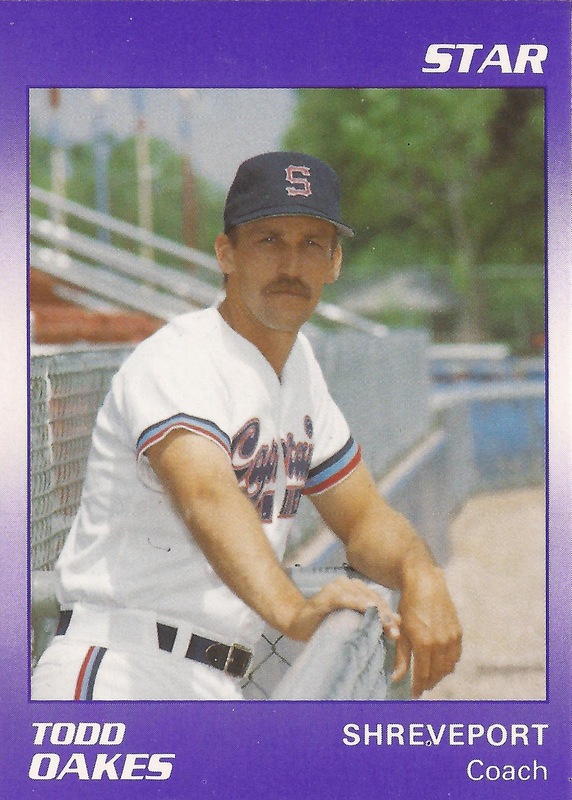 He made AA Shreveport in 1990, then AAA Phoenix in 1992. In 1997, he served as the Giants' minor league pitching coordinator and spoke of young pitcher Bobby Howry's need to keep his pitch count down. "A starting pitcher won't last long under those conditions," Oakes told The Yavapai Sunday Courier in March 1997. "So I think from that standpoint, the bullpen was the best thing for him. He loves to challenge people and he has an arm that bounces back in a hurry." He arrived in Minnesota as an assistant coach in 1998, a job he continued in 2016. He oversaw one of the Big Ten's top pitching staffs, turning in the second-best ERA in three of five seasons, according to the school. He also saw ten pitchers drafted in that time. He had his first brush with leukemia in 2012, then brushed with it again in 2014 and 2015. He was honored in January 2016 by College Baseball Insider with the Walter/Pete Frates College Baseball Inspiration Award. In October 2015, after learning that his cancer had again come back, Oakes told Fox 9 in Minneapolis the importance of his work to him. "Being able to walk out here with a uniform on to a beautiful field and being around these guys, and their vitality, being able to tell them a few things, not just about baseball but about life," Oakes told Fox 9, "truly is priceless." After Oakes' passing in May 2016, Minnesota head coach John Anderson recalled Oakes to The Minneapolis Star-Tribune for the coach that he was. "He was a tremendous pitching coach," Anderson told The Star-Tribune of Oakes. "But I thought he was a wonderful fit for our program because of his values, the person he is and the servant leader that he was."